Let us help you make that personalized rag rug, using a jelly roll and interfacing. Prep: Sew jelly roll strips end to end in order you want to them to appear in your rug. Cut batting, 2 1/4" wide (the longer the better) or purchase a Bosil interfacing pre cut package. Prep: Sew Jelly Roll Strips end to end. Cut batting 2 1/4" wide as long as possible. Bring your sewing machine (must have zig zag on it). Denim needle for sewing machine. Purchase pattern. 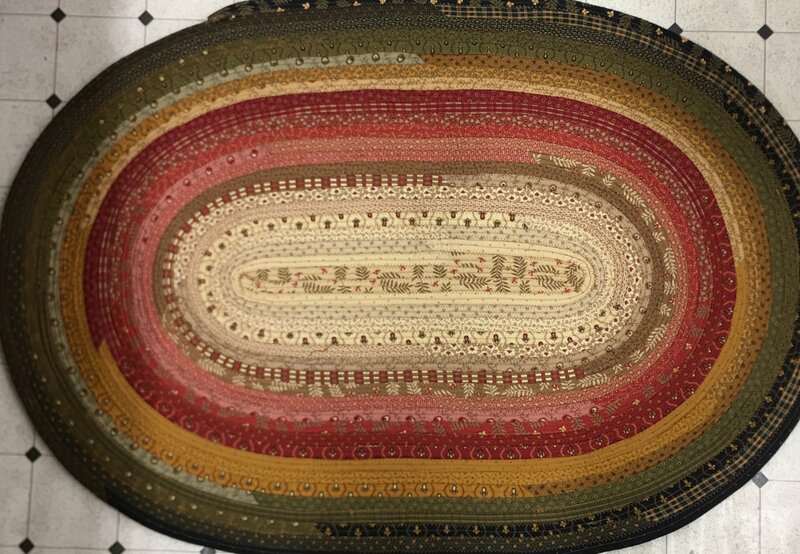 20% off Jelly Roll purchased for this class.